A rug can really tie a room together. However, there are so many options available. You might be stressing yourself about trying to decide whether you need a decorative or Oriental rug. Fortunately, there are several tips to keep in mind the next time you are out rug shopping so that you find the absolute perfect rug for your room. With numerous colors and styles out there, it can be tough to narrow down your options. A good place to start is to consider the look of the furniture and artwork you have in a room. You want people’s eyes to move comfortably from one piece to the next, so when in doubt, opt for colors that complement one another. Even if you know exactly what Oriental rug you want, it is still wise to be open to other options. There might be a rug design you never would have thought of getting independently, but once you see it in a shop, you just have to get it. This might entail getting something that is a little bolder or comes with more accented patterns. Either way, you never know what you might find. No matter what type of rug you need, it is important to have fun. Interior decorating should be an enjoyable process, and you should not take it too seriously. It is important to find something you will love for years to come, so do not feel disheartened if you do not find something you love on the first day. An expert staff will help you out for however long you need. These tips are helpful to anyone planning on doing some rug shopping in the near future. 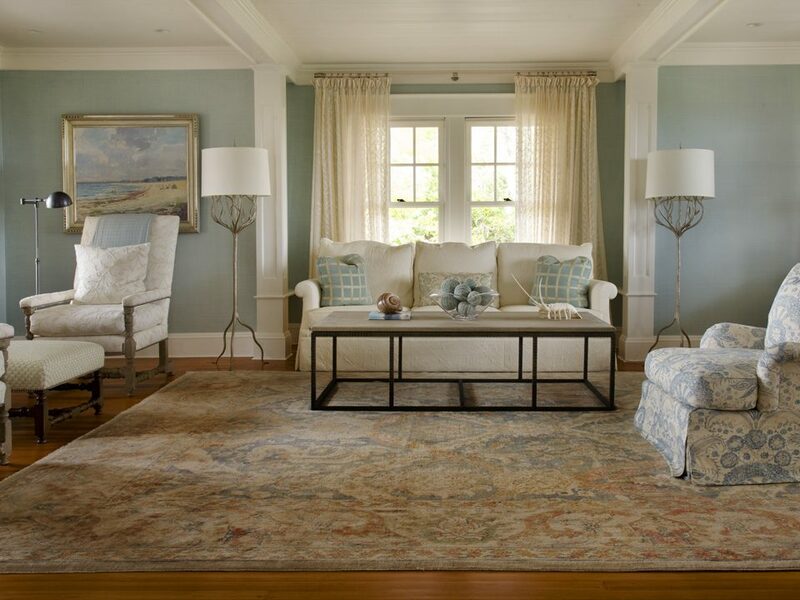 At the end of the day, it is important to remember than an Oriental rug works for virtually any style of room and is a preferred choice for many homeowners. At Zakian Rugs, we are THE experts when it comes to restoring your Persian Rug in Mainline Philadelphia. We can help you create a beautiful living space with a unique area rug that compliments your taste and room decor. And if you already own oriental rugs we can help them looking and feeling new with our rug cleaning and repair center. After all, we know carpets. We have been cleaning and selling Oriental rugs and area rugs since 1923. Providing premium carpeting in Mainline, Upper Darby, Bala Cynwyd, Villanova, and surrounding areas!